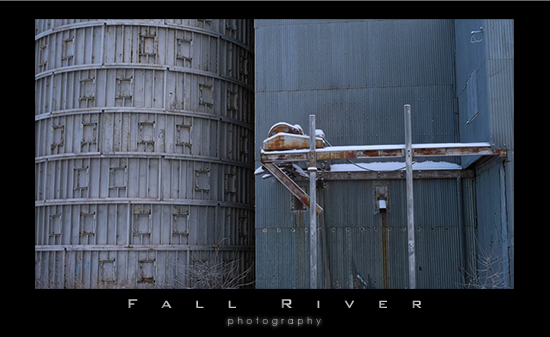 We were out and about in Palmer chasing Bohemian Waxwings and came across this old silo. I liked the lines and the cool colors. Palmer started out as a farming community and still has those roots deep. During the dust bowl days the government gave away land to farmers who agreed to relocate to Alaska for at least 5 years. Most went back. It was not so much the cold winters and short summers as the annual (at the time) flooding of the valley. Every year an ice dam would break and flood the Matanuska Valley. This of course was great for enriching the soil, not so great for your house and other property. Plus of course it was ice water, very miserable stuff to be in quite frankly. The valley is not prone to flooding now like it used to be and there are quite a few farms still here. Sometimes you just have to stick it out. I hope you have a great year in 201o after sticking out the last one; here’s to you. This entry was posted on Monday, January 4th, 2010 at 9:41 pm	and is filed under Alaska and tagged with Alaska, palmer alaska. You can follow any responses to this entry through the RSS 2.0 feed.